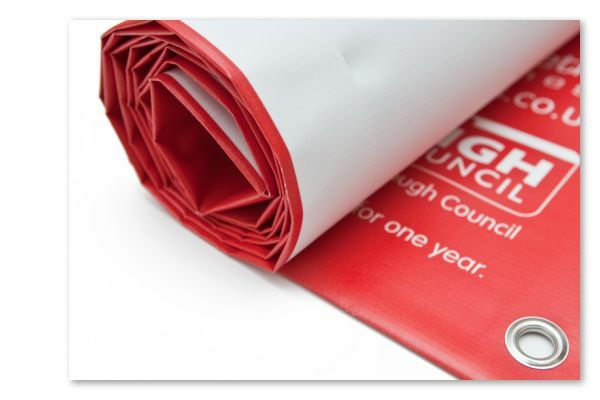 Banner printing, essentially what we'd like to think as our 'bread and butter' we can design, print and finish PVC indoor and outdoor banners up to 4ft wide by any length. 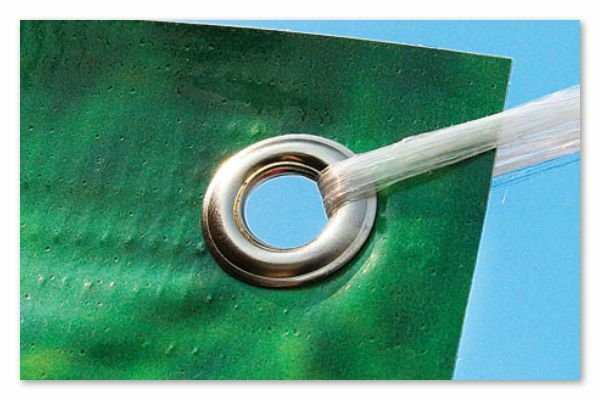 All our banners are supplied complete with a re-enforced hem for increased rigidity and strength plus brass fixing eyelets every 2 feet. Printed digitally, there's no limit to the amount of colours or text either allowing for a high impact personalised result that will your business noticed within the crowd. Vinyl banners can be used for a variety of applications. From short-term promotional events, exhibitions, retail displays and birthday parties alike! When offering banner printing we produce on a flame retardant 440gsm front-lit material so they confirm with all modern safety standards which is handy to know if you plan on using within a school, shop or other public place. With prices starting from £40 for a custom 6ft x 2ft full colour banner designed to your specification it's never been a better time to market your products and services with a little help from North Walsham Signs, based near Norwich in Norfolk. We even offer roll up and pull up banners that are perfect for exhibitions and events where you need a portable display solution. 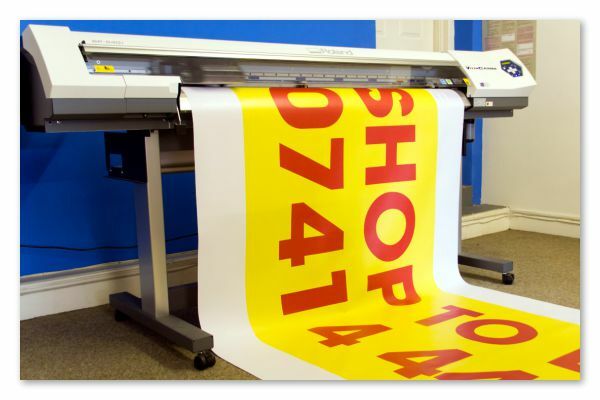 Our banners are printed on our modern wide format Mimaki solvent printer. This allows for durable, UV stable high resolution images to be produced consistently, in turn providing photographic quality on every banner we manufacture. With stunning clarity and pin sharp images you'll love the detail we can print combined with fast turnaround times. 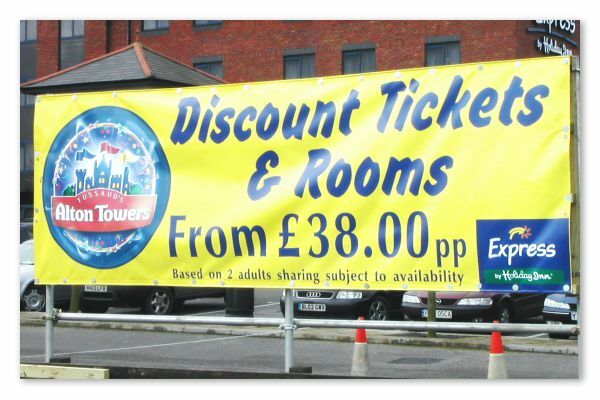 Suitable for all budgets we can print banners for a price that is kind to every business owners wallet! Sometimes used instead of rigid signs they're ideal for the decoration of buildings, fences and walls. As we add a re-enforced hem and fixing eyelets you'll be able to use in the most extremes of environments. From high street scenarios to windy cliff tops our banners have prevailed in the most extremes of environments! If you'd like more information on how we can provide your business, club, school or organisation with a cost effective solution to any sign or graphic requirement you may have then please do give us a call on 01692 402423 or drop us an email by clicking here.